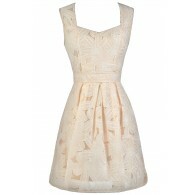 You have added Graceful Lace Strapless Dress in Beige into shopping cart. 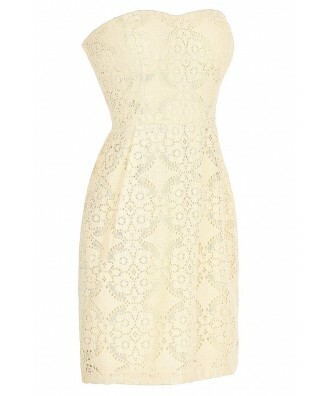 There's something so delicate and graceful about the pattern on the lace of this dress. 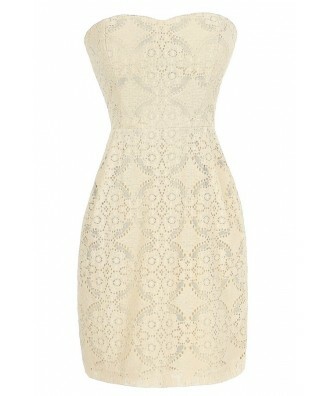 The Graceful Lace Strapless Dress is fully lined. It has a strapless sweetheart neckline and lightly padded bust. Princess seams help create a flattering silhouette. The skirt has a slightly flared cut, creating a forgiving shape. A hidden back zipper completes this dress. 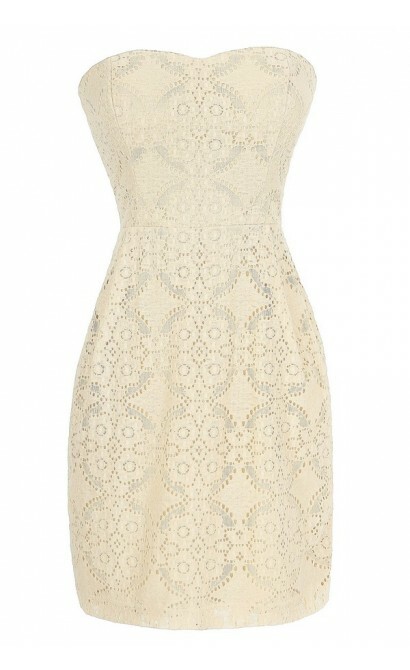 The Graceful Lace Strapless Dress would look nice paired with pumps, wedges, or strappy heels. Details: Made in USA. Fully lined. Lightly padded bust. Hidden back zipper. 70% cotton, 30% nylon. Hand wash cold or dry clean. Small measurements: Length from top of bust to hemline: 29". Bust: 34". 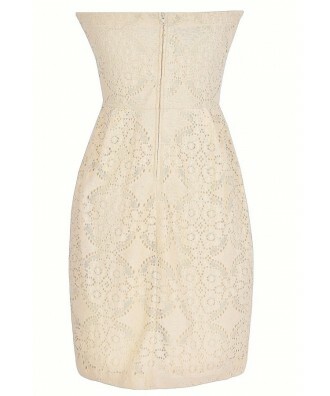 You have added Graceful Lace Strapless Dress in Beige into Wishlist. 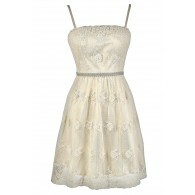 You have added Graceful Lace Strapless Dress in Beige for Stock Notification. 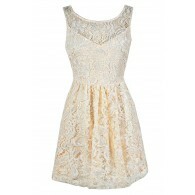 You have set Graceful Lace Strapless Dress in Beige as a loved product. 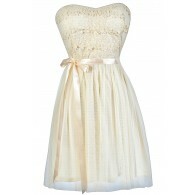 You have removed Graceful Lace Strapless Dress in Beige as a loved product.